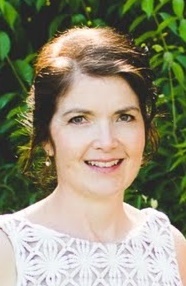 Linda J. Brodman, 51, of rural Wharton, died Tuesday, August 28, 2018 in Crawford County, OH. Born September 8, 1966 in Coshocton, OH. she was the daughter of the late George and Carol (Norris) Karr. She married Shawn E. McGuire September 10, 1988 in Keene, OH. and he preceded her on death April 4, 2005. On November 15, 2008, she married Mark J. Brodman and he survives in rural Wharton. Surviving are her daughter, Chelsea (Seth) Tschanen of Delaware; three siblings: Jim (Debbie) Karr and Ray (Barb) Karr both of Coshocton and Kathy (Todd) Barnhart of Frazeysburg, her in-laws, Dennis and Mary McGuire of Upper Sandusky, and various nieces and nephews. She graduated from River View High School and earned her bachelor's degree in accounting from The Ohio State University. She currently held the position of Chief Financial Officer for Angeline Industries. She had also worked for the State of Ohio Auditor's office and H & R Block in Upper Sandusky, each for 10 years. Linda enjoyed traveling, bowling, baking, playing board games, and going to garage sales. She was a huge fan of Reba McIntyre and loved her dogs, Two and Dexter. Friends will be received from 10:00am to 1:30pm on Saturday, September 1, 2018 at Lucas-Batton Funeral Home in Upper Sandusky. Her funeral service will follow at 2:00pm on Saturday, September 1, 2018 at Lucas-Batton Funeral Home, with Rev. Cynthia Morrison officiating. Burial will follow in Old Mission Cemetery in Upper Sandusky. Contributions may be made to Angeline School and Industries and sent to Lucas-Batton Funeral Home, 476 S. Sandusky Ave. Upper Sandusky, OH 43351.